Any question why we nicknamed it Squiddy? Last Saturday marked one year since Barbara concluded her radiation therapy, so October 1st has become her cancer-free anniversary. 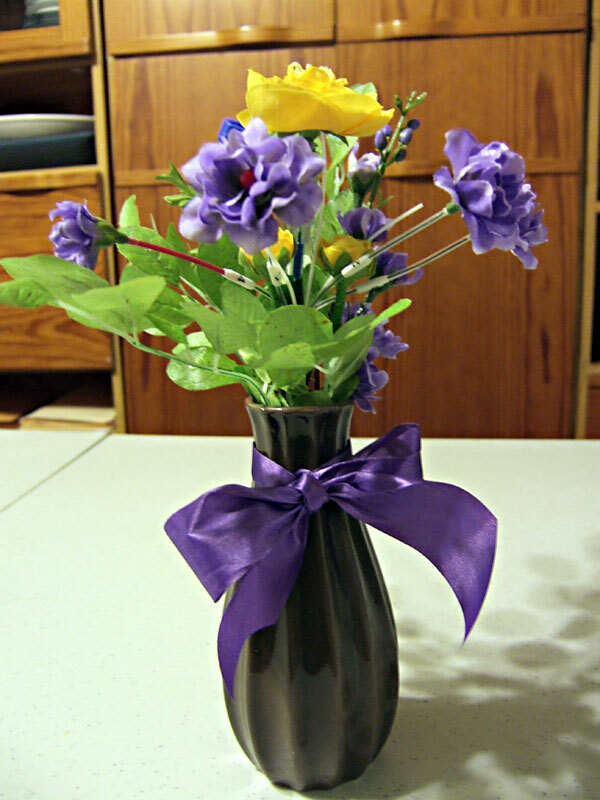 I took her "Mammosite" (radiation device we affectionately named "Squiddy") and turned it into a bouquet to mark the occasion. Some of you may find this gross, I know. Therein lies one difference between us. The technology and materials of medical procedures are endlessly fascinating to me and the fact that it was once inside her body (doing important work, I might add) only makes it more fascinating. 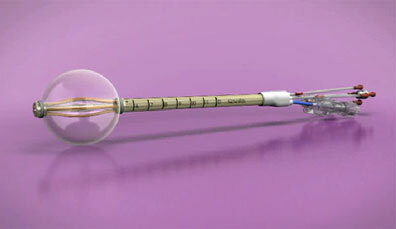 I choose to transform medical devices into nosegays. Besides, she loved the transformation. Before she even knew that it was Squiddy in disguise, seeing the small vase of her favorite color (purple) flowers brought tears to her eyes. The fear of losing her remains an undercurrent so powerful that it (uncharacteristically) moves me to suppression. No desire to delve into the murky depth of my soul, no need to analyze and dissect. I don't live my life in constant angst but whenever I think of that time it's as if I'm teetering at the opening of Jonah's whale. I am sure I don't adequately express to her the depth of my relief at her presence. Every day. Squiddy served us well, and deserves to be decorated. gave him off a Jewish holiday. the next day he dropped dead. They called it a Jewish curse. What could I do after his stroke? I put him in a nursing home. He knows me, but can't talk anymore. he would never weep in front of me. but there is no more Morris to cry. in the early years. We both felt guilty. Later on we worried the children would hear. we began to have fun. It wasn't always before going to sleep either. and roll his eyes up to the bedroom. Listen to Garrison Keillor read this lovely poem here.